Each January, car collectors gather in Arizona for what has become one of the word's premier auto auction events. Actually, it's not a single event but a series auctions offering everything from old Camaros and Mustangs to ultra-rare Ferraris. These are the ten most expensive cars sold at Scottsdale this year. All prices shown here include the commission paid to the auction house, which usually adds 10% to the price. 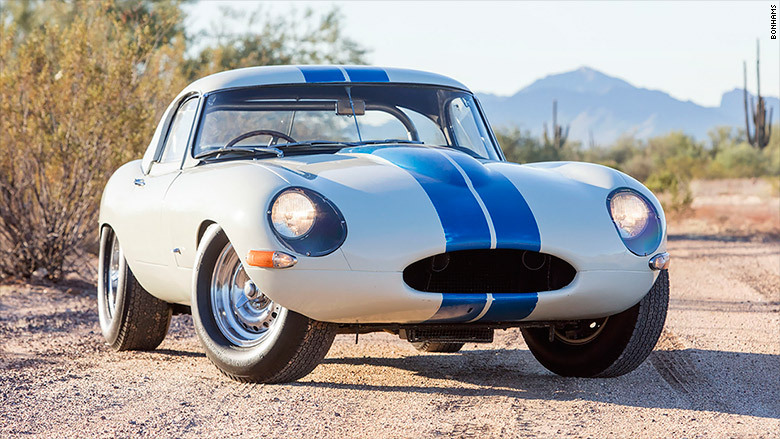 This 293-horsepower track version of the Jaguar E-Type competed in the Australia GT Championship race in 1963 as well as other Australian races. It also ran on European tracks over the next few years.